Your oasis away from the city. 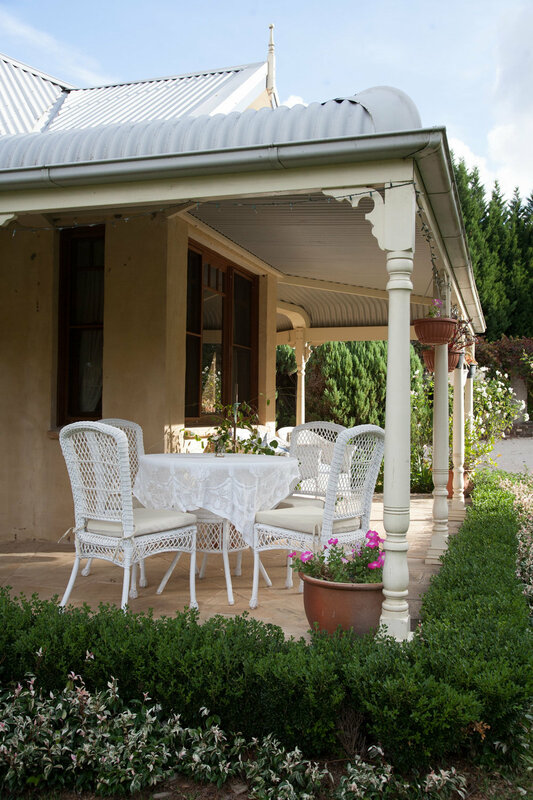 The Sunningdale Suite is an ideal couples getaway situated in a supremely peaceful country location. The suite is located on the ground floor of our elegant Country home and has easy access through a private entrance with no steps. 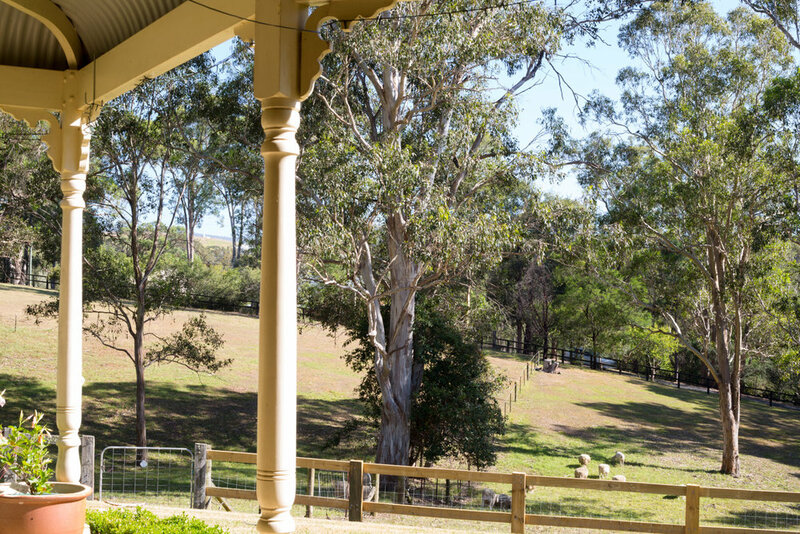 Relax with a drink, or have your breakfast on the wide north facing verandah as you look out over our front paddocks studded with huge grey gums. 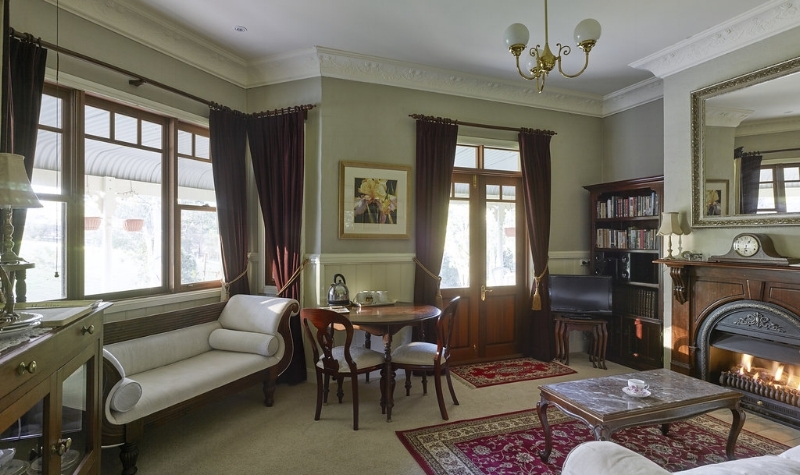 The Suite is a generous space, with a large formal lounge with cedar French doors opening onto a beautiful north facing front verandah, an ideal place to enjoy breakfast. The bedroom is spacious and tastefully decorated, with full ensuite attached. We provide a generous continental breakfast with your stay at The Sunningdale, with fresh fruit juices, cereals, a selection of bread to toast, stewed fruits and great pod coffee and a selection of teas. There is also a microwave and a fridge for those little extras. Peak periods Special rates may apply over some peak periods, please contact us for a tariff. ...Perfect for a relaxing time away from the city. 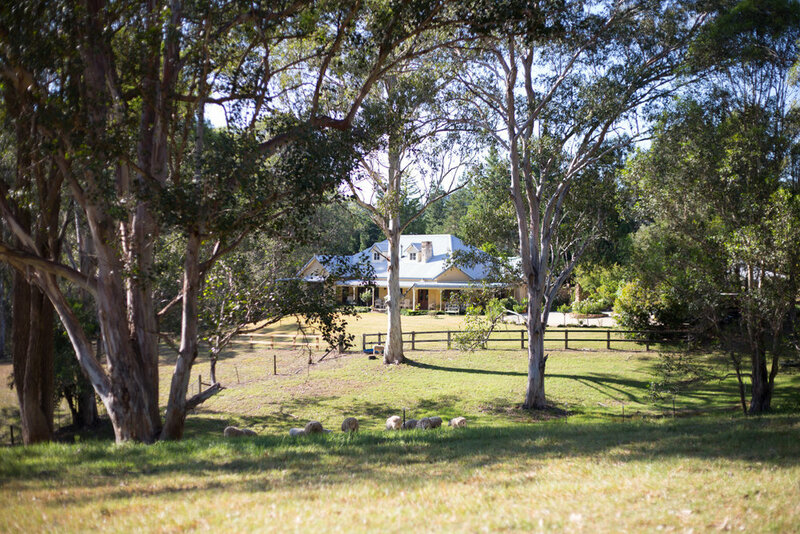 Bruce and Janet's place is in a beautiful secluded area, and is perfect for a relaxing time away from the city. The space itself is nicely decorated, and has everything you need for a comfortable stay. The views and surrounding property are lovely, and there are some great walks nearby (Cabbage Tree Road look out is a must visit) We would recommend Bruce and Janet's place to other couples! There's nothing like a little luxury to recharge the batteries!